Do you have working experience developing multi-tiered applications in C# and SQL Server? Are you looking for a place where you can deploy your passion and where initiative is much appreciated? Then let us know. We are looking for someone who knows C#, SQL Server and XAML (Silverlight is a big plus), who speaks Dutch or French and English and who loves to develop business applications with just that bit more to it. We are working from an Antwerp based office, sometimes we work from home and sometimes we travel within Europe. We have published 2 videos about Dime.Scheduler. The first video is a brief introduction of the application showing you the main components and features of the user interface: the plan board, using drag & drop to plan tasks, time bar navigation, the preset views, grouping & filtering of open tasks and personalising the UI. The second video takes a deeper dive into more advanced features like the use of the built-in map, resource filtering and the alternative or secondary plan board. 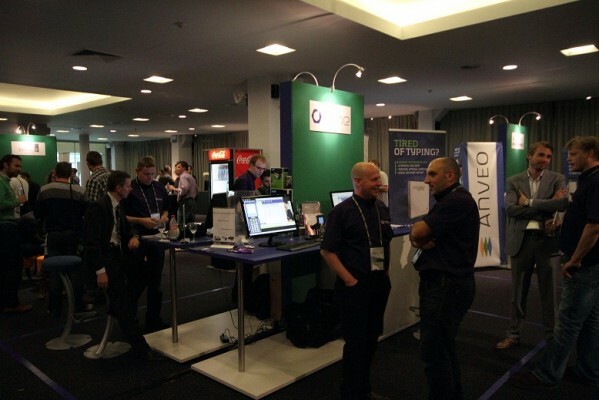 A big “thank you” to everyone who visited our booth at the NAV Techdays 2012. We were pleased to see so many of you interested in our NAV add-ons and services. All winners will be contacted by e-mail. We like to thank DYMO for contributing in the prizes of the lottery. We are presenting 4 products of our Dynamics add-on portfolio so make sure to pay us a visit at our booth located at the entrance of the exhibition hall to learn about some new exciting stuff. Visit the NAV TechDays website to find out more.